It should come as no surprise to anyone that a man who makes his living shaping wood would purchase an old building on one of the still-derelict blocks of downtown Shreveport to reshape into his business. 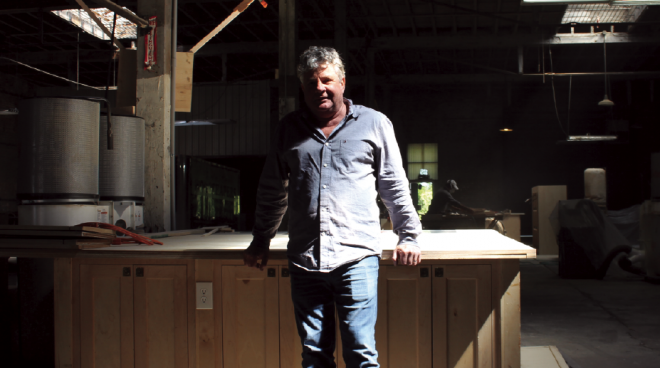 Marty Park, owner of Woodshapers Remodeling, recently moved his custom cabinetry company from a cramped, leased building on Kings Highway to a spacious, 12,000-square-foot building at 1035 Texas Avenue – one of the only now-inhabited locations on that side of the street. It is, however, on the edge of the developing Shreveport Common. Park made his move in mid-January, and their first order of business was to get all of the custom cabinetry machinery up and running. Park said the new building is four times larger than the previous location. Parking is one of the few drawbacks. However, Park said they are working on that. In fact, he said, a sign remains on the back wall today to let people know where the back portion was an old mule barn. Park intends to bring the front of the building back to its original “look” as much as possible. 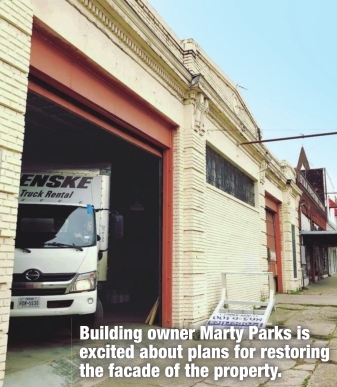 “I love these old buildings, and I love downtown Shreveport,” Park said. “I really want to get our building looking like the original, and then maybe more people will start doing the same thing down here. Park said he believes Municipal Auditorium and Shreveport Common will work together to be a catalyst for the area. In the meantime, Park, who has grown his business to 14 employees will continue building new cabinets while he also remodels and “reshapes” old woodwork. Park said he has been in the cabinetry business “all my life,” but he started Woodshapers in 1984. They spent more than 15 years at the Kings Highway location. This, he said, will be his final move.